One of the best things to enjoy about Corned Beef is the left overs. 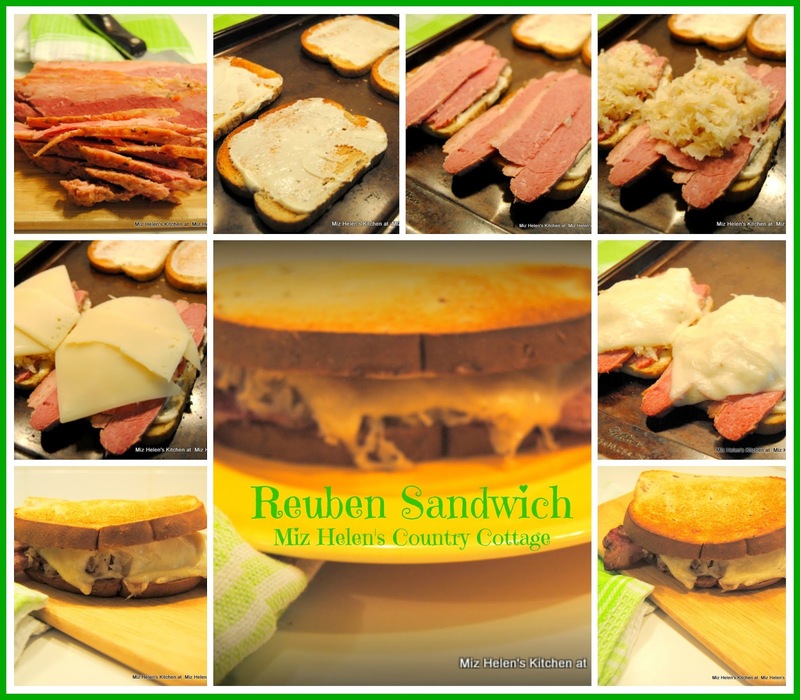 I love to make a Corned Beef Sandwich, or some would call it a Reuben Sandwich.I love the nice thick slices of beef laying on a delicious sauce and smothered with sauerkraut and Swiss cheese. We just love this sandwich and always look forward to the Corned Beef left overs. In a 425 degree oven,lay the bread on a shallow baking sheet and toast the bread on one side. Mix the sauce and adjust the seasons to your taste. Spread the sauce on the toasted side of the bread. Lay the thick sliced corned beef on top of the sauce. Spread 1/2 cup drained sauerkraut on top of the beef. Layer the cheese on top of the sauerkraut. Remove the extra bread from the baking sheet and return the half sandwich with the bread, sauce, beef, sauerkraut and cheese to the oven. Bake in the oven at 425 degrees until the cheese melts. Remove the baking sheet and place the remaining sauced bread on top of the cheese, sauce side down. Place the baking sheet with the sandwiches back in the oven and let the top bread toast on top. Thanks so much for stopping by to spend some time in the kitchen with us today. 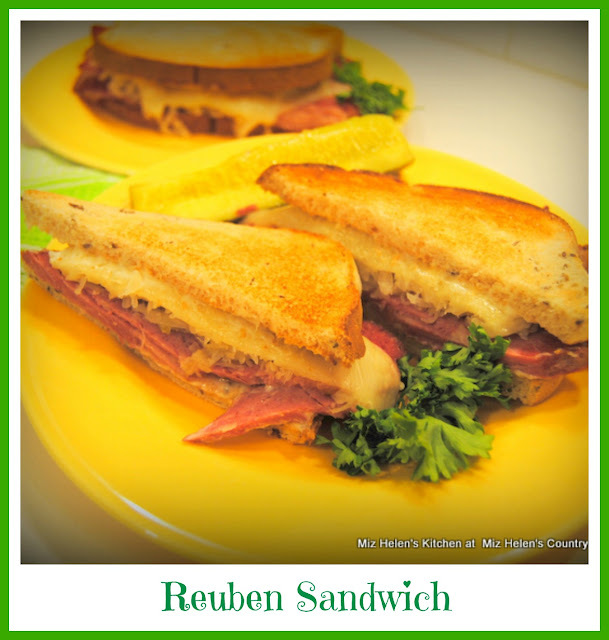 I always look forward to your visits and glad I had some left over Corned Beef for a Reuben Sandwich for you today! Hope you have a fantastic week and come back to see us real soon! Corned beef sandwiches are sooooooo good. I feel like I missed an opportunity to have one. I need to get more corned beef! Your Reuben Sandwich looks amazing, Miz Helen! I love a good reuben sandwich! Your Nana sauce sounds really good too. It's so nice to take a classic to the next level with this delicious sauce! Thank you so much for sharing this yumminess with us at Hearth and Soul. Hope to see you again this week!